Shoot for Good Grades was established by MAHA to recognize, encourage and reward youth hockey players who commit themselves to their schoolwork during the hockey season. 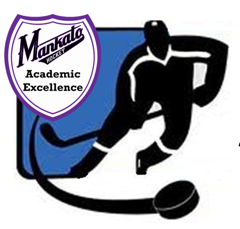 To reward the efforts of all traveling MAHA players, the organization recognizes all players who receive a 3.0 grade point average or above during the hockey season. All qualified participants will receive a Certificate of Achievement, Academic Excellence Patch and an entry into a Grand Prize drawing for a stick of your choice from Play It Again Sports (up to $250 value). These players will be acknowledged at his/her team end of season celebration, as well as on the MAHA website and Academic Excellence display at ASA. Middle/High School: Go to Infinite Campus website - Select your Student - Click on Reports - Select 2nd Quarter Report Card - Print it out, take a screen shot or save as a PDF. Elementary School: Go to Infinite Campus website - Select your Student - Click on Grades - Print it out (from browser), take a screen shot or save as a PDF. * This may not work for all elementary schools based on how they have Infinite Campus setup. Note: From Infinite Campus App (only for Middle/High School): Go to Grades section and take screen shots of grades for both Term Q1 and Term Q2.